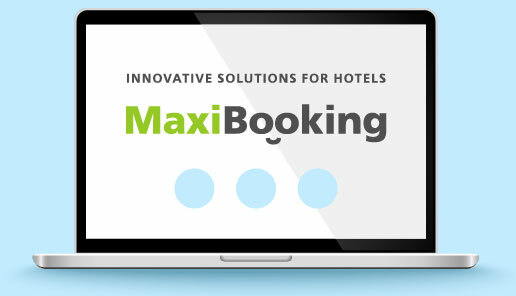 MaxiBooking is perfect for hotels, hostels, and individual properties. System has no limits on the number of rooms, hotels or individual apartments that can be managed from one account. MaxiBooking solutions allow you to achieve maximum efficiency in the management of your properties. Maxibooking significantly eased management of our hotel. Bookings from our website and Booking.com are immediately synchronized and reflected in the channel manager. Automated system eliminates double bookings that is especially important for us in the summer season. Interface is nice and handy. Much like the interactive Calendar with multi-user functions and tablet view perfect for our reception. Would like to give special thanks to the professionalism and efficiency of MaxiBooking technical support team that promptly customized the system to our specific needs. The program with amazing opportunities that you begin to understand once you start working with it! We were not even aware that important aspects had already been automated, like optimal room allocation that starts at the booking stage. For our resorts it is important that there are no day gaps between check-outs and check-ins. During high season clients usually come for relatively long stays and the gaps of 2-3 days are then hard to sell. MaxiBooking programmed our booking engine so that during the search stage our clients are automatically being proposed the dates that eliminate the possibilities of day gaps, that allows us to eliminate rooms downtime and to generate significantly more income compared to our “pre-MaxiBooking” past. I also want to mention friendly interface of the system that is intuitively easy to use. All processes are automated, employees needed almost no training that played important role for us. Have been using MaxiBooking for over a year. During this time the system has become the main tool of our business: bookings, payment receipts, room allocations, and all subsequent service offerings in our resort literary till check-outs. Upon arrival clients note quick registration and check-in. Key for us is the ability to control our operations at any time and from any location that has Internet connection, and to receive feedback from our guests after their stay. Would like to wish the developers not to stop on the achieved and to develop and implement new functions like scheduling (booking) services for guests, to expand “restaurant” and “warehouse” modules, and to enable the use of guests’ records for automated mailings of our current offers and news. Have been using MaxiBooking PMS for over a year now. Most delighted. Daily notifications about upcoming arrivals, easy to manage rooms and rates, you always know when, by whom and what bookings were made. We’ve been working with MaxiBooking since our opening! Delighted! Always prompt and client oriented. The feeling is that you are always their biggest and number one priority! Will help, give trainings, customize, fine tune and give a hand with solving questions with OTAs and other online booking systems. Assisted few times, also on weekends. Raised several customizations for our internal data management flow. Dear Partners! Thank you very much for your responsiveness and understanding. Especially want to mention Konstantin for his exceptional client service. Great seeing us growing together! Automated management of sales and booking processes. 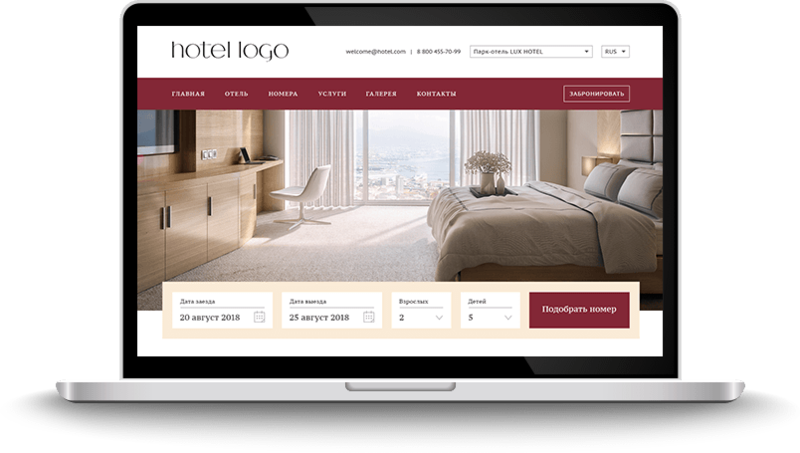 Sales growth through optimized bookings and room allocation. Real time information on reservations, occupancy and pricing. Significant reduction in transaction costs. Synchronization with leading online booking platforms. Access rights controls with quick and easy setup of its parameters. Full management and control on one devise. with MaxiBooking and grow your sales. Let you hotels really generate profit.